For several years I worked as a waiter and baker at Navajo Grill in Fredericksburg. One of the “sacred cows” on the menu was a chocolate chipotle pie. When I took over baking responsibilities, I asked the owners if I could take the pecans out of the filling and create a pecan crust instead. The current version has a few more tweaks and a “tart” set up. Proportion of crust to rich filling is better, I think, in this set up. This will be worth the effort, I promise. It received raves at the recent cooking class. It is a great make ahead recipe and works well with ice cream, crème anglaise, or whipped cream. Just remember to minimize your stirring. Good luck! 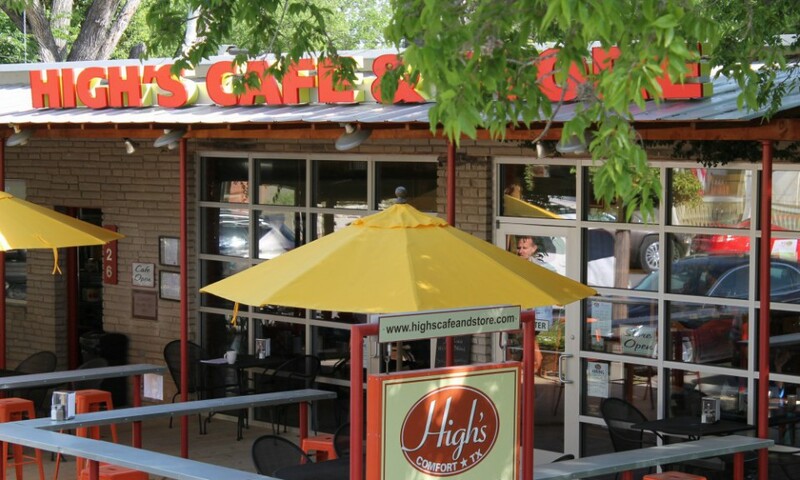 Oh, if you don’t want to make it, but want to eat it…come to High’s. It will be appearing on our menu soon!!! For crust: place pecans, brown sugar, cinnamon, flour and salt in the bowl of a food processor. Pulse ingredients until large pieces of pecans are broken down. Add warm melted butter through the feed tube and continue to pulse until mixed well. Press crust into a 10” tart pan that has been sprayed with non-stick canola. Chill in the refrigerator until firm. Once firm, prick the shell all over with a fork. Place the shell in a preheated 350 degree oven and bake for 12 minutes only. Remove and let cool. For filling: Combine flour, sugar and brown sugar in a bowl and whisk until well blended. Add eggs and zest and whisk to mix. DO NOT OVER WHISK. A gentle, patient hand. In a microwave bowl, melt the butter and chocolates on 50% power until melted – about four minutes. Stir well and add to the egg/flour/sugar mix. Add vanilla, chipotle mix and combine. Again, easy does it. Mix until just combined. Do not incorporate air in your whisking. Pour chocolate mix into the prepared shell and bake in a 300 degree oven for 15 minutes. Rotate and bake an additional 15 minutes or until middle is just set. Turn off oven and open the door slightly and allow pie to sit an additional 15 minutes before removing to cool. Once cooled, chill pie in the refrigerator. It slices much neater if it has been chilled. (I like a very clean profile!) Once sliced, allow pie to return to room temperature before serving. Serve with cinnamon crème anglaise and a dollop of whipped cream. This will serve 10. Super rich and intense. For chipotle mix: combine 7 T of hoisin sauce with ½ a can of chipotle chile in adobo sauce in a blender. Blend until smooth. This will make enough mix for several pies and stores well in the refrigerator. For roasted corn: Rub ears with olive oil and sprinkle with salt and cracked pepper. Place in a preheated 400 degree oven for 30 minutes or until kernels begin to brown. Turn half-way through cooking for even browning. Remove, cool and cut kernels from the cob. For shrimp: Rinse shrimp with cold water and pat dry. Preheat a sauté skillet over medium high heat. Add 2 T olive and swirl around the pan. It will be smoking a bit. If too hot, lift skillet off heat source for a minute. Place dried shrimp in hot skillet. It should make a searing sound. Don’t crowd skillet. Add a sprinkle of salt and allow shrimp to cook 2/3 of the way before turning over. Add 2 T of chipotle mix and a splash of water to loosen up skillet bits. Toss shrimp with the “chipotle sauce” and remove from heat. Residual heat will finish cooking the shrimp. They should just be firm to the touch. See picture. For tortilla crisps: Cut red corn tortillas in half. Brush both sides with olive oil. Sprinkle with garlic salt and chili powder. Place on a cookie sheet and put into a 350 degree preheated oven. Cook for 10 minutes, rotate and cook an additional 10 minutes more until crisp. Use a damp rag to set your mixing bowl on to keep it from sliding on your counter. Combine the first three ingredients in a thick bottomed sauce pan. Bring to a slow boil and remove from the heat and let mix steep for about 15 minutes. Combine egg yolks and sugar in a bowl and whisk until smooth ribbons are formed. Slowly whisk the liquid mix into the yolks and sugar mix. Pull out the vanilla bean pod and cinnamon sticks. Return this mixture to the sauce pan. Place over medium heat and stir constantly until the mixture thickens and coats the back of a wooden spoon. 165/170 degrees. Be careful not to curdle the mixture. Pour the mix through a fine mesh strainer into a bowl. Place plastic wrap directly on top of the warm mixture and place it in the refrigerator until it cools and thickens more. The crème anglaise will hold for a couple of days. If you have some left over and you have an ice cream maker…..freeze it. Also, I encourage creativity with crème anglaise….steep fresh ginger, use instant espresso powder, good quality cocoa powder, toasted almonds, orange peel, fresh lavender, etc…just use the custard base and flavor away! Using a food processor, drop garlic through feed tube while machine is running. Stop machine, scrape down sides and add remaining ingredients. Process until smooth. Dressing will hold in the refrigerator for 5-6 days. This is so good that you will want to slather it on everything! And, no raw egg. Mayo works well. J O I N T H E B L O G ! You will receive notification as new recipes come online. Add your email address to the space provided and hit submit. Don’t worry, only good food coming your way! P R I N T I T ! 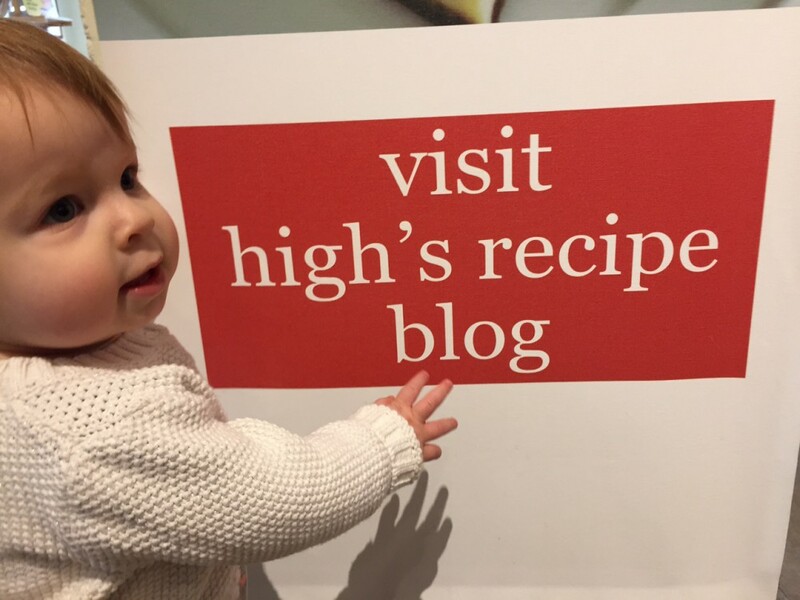 SO, would you like to print a recipe from the blog without pictures? Here’s my suggestion: go to the specific recipe you want (not the blog roll) and highlight the entire recipe (including pictures). COPY. Go to your word or pages section of your computer and create a new document. PASTE. Delete photos and there you have it. Ingredients and instructions only. I will continue to explore things from my end to see how I can simplify that process. In the meantime, this works. Remember that comments are always appreciated. And, welcome to our newest highmadefood followers. Choose asparagus with tight tips! For blanching: Fill a stock pot half full with water and cover. Bring to a boil. Once boiling, add 1 T salt and drop in green beans. When color becomes vibrant and “Spring” green, remove French beans to an ice bath. Repeat the same procedure for the peas and asparagus. The asparagus and green beans will soften a little more after cooling in the ice bath. Please do not overcook the vegetables. A bit of “tooth” is desirable. Drain all vegetables and place on a towel-lined cookie sheet for further drying. Place in the refrigerator. This can be done earlier in the day for night-time service. To assemble: place green beans, peas, asparagus, artichokes, celery, chicken, arugula and pesto in a mixing bowl. Toss gently (hands work best) making sure to evenly coat all ingredients with the pesto. Season with additional salt and cracked pepper. If mix looks a bit dry, add a spritz of EVOO. Place salad on individual plates and garnish with parm shavings, toasted pine nuts, and a kiss of EVOO. This with good bread and Dry Creek Fume Blanc or Bending Branch Picpoul Blanc….perfect summer meal. Enjoy! For chipotle puree: Add one small can of chipotle peppers in adobo sauce (see photo) into a blender along with zest from half an orange. Puree until smooth. If necessary, a small amount of water can be added for a smoother texture. This stores in the refrigerator for 8-10 days. Delicious in hamburger meat for burgers or tacos, tasty in soups, or our orange chipotle cole slaw. Many uses. Spicy, smokey, slightly sweet too. I once had white cheddar and chipotle mashed potatoes. Wow. For shrimp: place olive oil in a preheated skillet. Swirl it around and add garlic. Careful not to burn your garlic. Let it just release its flavor and then add the shrimp. Add chipotle puree, red pepper flakes, and salt. Cook until mix thickens and shrimp become just firm to the touch. Add a splash of dry white wine and reduce. Remove from heat. This step can be done ahead and shrimp can be refrigerated until you are ready to assemble the quesadiva. Assembling the quesadiva: Spread an even layer of cilantro pesto on half of the tortilla. Leave a border. Add cheese mix (again, leave a border) in a nice even layer. Not too thick. Place 7-8 shrimp on top of the cheese and drizzle a bit of the chipotle drippings on the shrimp. Fold over and brush the top with olive oil. Place top side down in a non-stick skillet that is preheated to a medium – medium low temperature. Careful as they can burn before the cheese has a chance to melt. Brush the other side with olive oil and continue to carefully flip back and forth until a golden crust forms and the cheese is thoroughly melted. Cut into four wedges and serve with mango pico. Using a food processor, drop garlic cloves through the feed tube while machine is running. After garlic is fully minced, add cilantro, pumpkin seeds, lime juice, salt and pepper to the bowl. Pour about 2 T of olive oil into the bowl. Turn processor on and add additional olive oil through the feed tube until desired consistency is achieved. It should be spreadable. Not too thick, not too runny. See photo. Pesto can be stored for several days in the refrigerator or it can be stored in the freezer for later use. This is great on the shrimp quesadilla, grilled pork, burgers or cheese enchiladas. Flavor galore. Using a food processor, drop garlic cloves through the feed tube while machine is running. Once garlic is fully minced, add remaining ingredients – except olive oil. Turn machine on and drizzle olive oil through the feed tube until desired consistency is achieved. See photo. This makes about 2 cups of pesto. Once you go to the trouble of making pesto, you might as well freeze some for future use. Great on pasta, sandwiches, salads, flatbread, soup and more. This recipe uses walnuts instead of the traditional pine nuts. Gentler on your wallet. AND just as tasty. Prep all ingredients according to specifications. When you go to a Mexican restaurant, look at how they prepare pico de gallo. Is it fresh and diced well? When preparing the mango pico, chop ingredients in a uniform manner. Nothing should be extremely smaller or larger than the other ingredients. Take pride in this tedious exercise. Balance of flavors and a nice presentation depend on your efforts. If you want to make ahead, just prepare the vegetables, mango and zest. Add the lime juice, olive oil and salt about 30 minutes prior to service. The addition of these start to break down the other items. I like the mango pico to have crunch and freshness. Often it can be slimy and past its peak.